We’re always looking to provide new and enjoyable home entertainment experiences whenever possible, anywhere in the world. Today, we’re thrilled to share that customers in Canada will be able to control their favourite TV entertainment using their voice and any Logitech Harmony Hub-based remote, including the Harmony Elite, Harmony Hub and Harmony Companion. 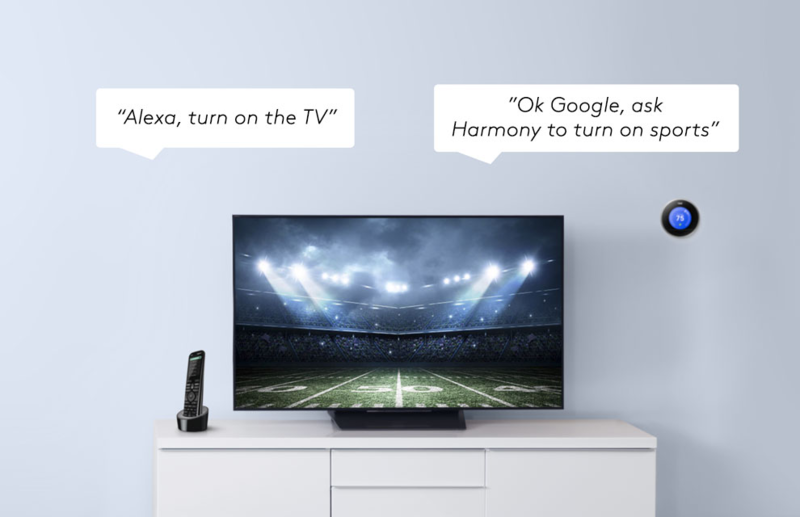 With Harmony and Amazon Alexa, you’ll be able to turn on or off your TV, increase the volume, tune to channel 51 and more using your voice. After starting any Harmony Activity with your voice, you can follow up with simple commands. For example, if you ask Alexa to turn on a Harmony Activity, such as “Alexa, turn on the TV,” or “Alexa, turn on CBC,” you can then add subsequent commands such as “Alexa, decrease the volume,” “Alexa, pause,” or “Alexa, tune to channel 12.” To enable this Logitech Harmony and Amazon Alexa integration, simply add the Harmony skill in the Amazon Alexa app. More information is available at myharmony.com/alexa. We’re also excited to let Canadian customers know that Logitech Harmony hub-based products are coming to the Google Assistant on Google Home, eligible Android phones and iPhones, expanding the possibilities of in-home voice control. 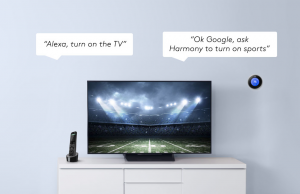 You’ll be able to use the Google Assistant to launch Activities from your Harmony hub-based remote to watch your favourite TV channels, content and more in Canada just using your voice. The Harmony Action is available for Google Assistant on your phone today and coming to Google Home in the coming weeks. To learn more, visit myharmony.com/google-assistant. All voice integrations are available for free, with the Google Assistant on Google Home available in the coming weeks and Amazon Alexa available as soon as Amazon Echo devices begin shipping. Logitech Harmony remotes are available now and can be purchased at Logitech.com, Best Buy Canada and Amazon Canada. The Logitech Harmony Elite is CAD $499.99, the Logitech Harmony Companion is CAD $179.99 and the Logitech Harmony Hub is CAD $129.99.